An important event in the history of the Bab is that of Badasht. For reasons which will become clear as we read ahead, the Bahais have attempted to downplay the incident. Books like The Traveller's Narrative, generally considered authentic by the Bahais have no more than a passing mention of the incident. Prof. E G Browne states that "the author of the New History (Taarikhe' Jadid) has evidently considered it desirable to suppress the Badasht episode altogether." (Ref: Appendix II, Taarikhe' Jadid, page 356, translated by E G Browne). Read more on How the Bahais altered Bab's history. However the incident is graphically described in books like Nuqtatul Kaf and Nasikhut Tawarikh. As always, even though it is the most recent book, Shoghi's version of the episode in the book of Dawn Breakers contains material which is not found in any of the earlier books of history! The background of the Badasht Conference was that the Bab was, in prison, while followers of the movement, generally speaking, were in great distress. Religious decrees had been issued by the ulema against the Babis, and the Babi rally was designed to think out ways and means for meeting the situation. The outcome of the conference was a resolution that an organized and armed attempt should be made to rescue the leader of the movement. On the other hand, in order to avenge themselves on the ulema, the tendency was born and accelerated that they should cut themselves away from Islam altogether. This step, therefore, was; for the greater part, a retaliatory measure against the ulema: Bahaullah himself writes in Iqtidar: "If the Muslims had not failed to yield belief to the claims of the movement, the Islamic Sharia would not have been abrogated." When they gathered in the assigned place, it was decided that they should try and rescue and release the Bab. It was decided that the would send their agents everywhere to urge whoever would listen to them, to visit the Bab at the fortress of Mahku, and to take along with them as many of their friends and relations. They agreed to meet at Mahku, and when a sufficiently large crowd would gather, they would appeal to Shah Mohammed to release the Bab, and if he did not accede to their request they would deliver him by force. Here Qurratul Ayn addressed them to excite their enthusiasm, and proclaim the true colors of their faith. She said, "Hark, all you beloved and zealous men! You should know that the provisions of the Mohammedan law (Shariah), have now been repealed by the re-appearance of the Bab, although the new Babi law has not yet reached us. Your preoccupation with namaz, fasting, and zakah, and whatever Mohammed brought is all nonsense and falsehoods. Only the ignorant and the unaware adhere to that law. Or Master, the Bab will conquer the lands and enslave the people, and the inhabitants of the seven lands will bow to him. He will unify all the religions of the world until there is only one religion, the true religion, his new religion, and his modern law. Therefore I say to you and it is the truth what I say, No orders as of today, and no commandments, no prohibitions and no castigation. Emerge from the solitude to the multitude and tear off the barrier which separates you from your women. Let them share in actions and in deeds. Join them after long separation, and bring them out from isolation to jubilation. They are the flowers of this life, and a flower must be cut and smelt, for it was created to be clasped and smelt. Those who smell it should not be limited to how and how many. Flowers are cut and gathered and to the dear ones are given as presents and cherished gifts. Hoarding the riches and denying others the enjoyment and use of such riches is the origin of all sin, and wellspring of all misery. Make the poor among you equal to the rich. Do not keep your wives away from your dear ones as there is now no prohibition, commandment or restraint. Take your lot in this life, for there is nothing after death." The amorous behavior of Qurratul Ayn and her views were on public view at Badasht. On the day of Badasht, she was dressed in all her finery, wearing white silk robes, wearing make-up, and jewellery, and addressing the people in a very enticing voice. There she was standing behind a curtain, with her face uncovered. She had given scissors to one of her maids to cut the cord of the curtain in the midst of her speech. The maid did as directed, and the curtain fell. The people saw her dressed to the hilt with her face exposed, and in her crowning glory. She pretended to be angry at her maid and then addressed the people such, "Don't worry! Am I not your sister? Do you not believe that the laws of Islam have been abrogated? I am your sister and it is halal to look at me". "When the people used to kiss her hand, and her feet, she used to cry out in ecstasy, "Fire of Hell will not touch the person who touches me". In short after he had sprinkled some of the drop of the ocean of Unity for his companions, a party in the desert of Badasht lost their senses and one party were in their senses, and one party were admonished and a party was mad a party fled away, and on account of their cries and their noise and their joy, the people were anxious as to who these people were. On the day of Badasht, Tahera addressed the people with an uncovered face thus, "That sound of the trumpet on the day of Judgment, and Resurrection is my call to you now!... Arise, the era of the Quran is over, and a new era has begun...this is the Hour of Resurrection... The blast of the trumpet of Resurrection, it is I! "O companions, the time in which we are living is counted as the time for the cessation of laws, and all the commandments of Islam are made null and void and this fasting and prayer and praising (of God) and invoking blessings on Mohammed is useless work. When Mirza Ali Mohammed Bab takes possession of the seven continents and makes the various religions one religion, he will bring a new law." She then declared, "I am the Word which the Qa'im is to utter, the Word which shall put to flight the chiefs and nobles of the earth!" Given that there were no laws and limits, Qurratul Ayn and Quddus (who earlier had differences, but were later reconciled) exhibited shameful behavior. The authors of Nasikhut Tawarikh and Nuqtatul Kaf - both source books for Babi history) have politely described their shameless exhibition as the "union of the sun and the moon"
Tahera went a step further and claimed divinity for herself. 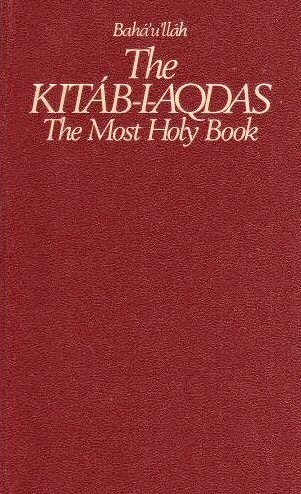 As quoted by Abbas Effendi in his 'Makatib', page 54, "When Tahera said, "Surely I am Allah", and the whole atmosphere resounded with her call". When the conference ended, the conferees dispersed secretly. Bushrui went to Khurasan, Qurratul Ayn and Barfurushi went to Mazandaran, and Hussain Ali to Tehran. They agreed to meet at Mahku after mobilizing as many as their followers as possible to rescue the Bab. Islam which had lasted for more than 1,200 years was annulled by a group of individuals who collected in Badasht. As per these Babis, Islam is over; Quran, Namaz and fasting are useless; the Day of Judgment has come and gone. One needs to be aware of such heretic beliefs which the Bahais hide from ordinary Muslims. These Babis incidentally had no standing in their religion till this time, yet they made the bold announcement of annulling Islam. One can read the article on Tahera to gauge whether she was the correct person to make any announcement, least of all, the announcement of the annulment of Islam. There is confusion on the role of Bahaullah in the event of Badasht. Older books of history (Taarikhe' Jadid, Traveller's Narrative, and Nuqtatul Kaf) have ignored his role completely, whereas those histories written later by the Bahais (Dawn Breakers) have raised his position to that of the hero of Badasht. Why this discrepancy? Bahaullah's alleged leading role in Badasht conference are devoid of historical foundation. It appears that they are intended to bolster up his pretensions and to connect him with The Bab. It were the Babis gathered in Badasht due who made the announcement that Bab was the Mahdi and the Qaem. Prior to this event, we do not have any account wherein the Bab had claimed to be the 12th Imam of the Shiites. Lastly, for my Muslim brethren and for all objective readers of the article - The primary objective of the Babi and the Bahai Faith was to announce the annulment of Islam. I wish to ask - why are the Bahais not permitted to propagate their faith to the Jews of Israel till today. If there is anything close to a "conspiracy theory", then this is it.